Cycling is a great workout, but the outdoor sport demands space and time, and the weather needs to cooperate. 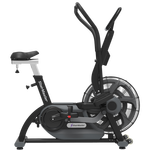 You can get the same physical benefits — and more — from a stationary exercise bike. 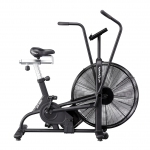 Exercise bikes are the oldest form of indoor exercise equipment, dating back to the original Schwinn. 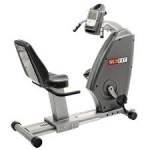 Schwinn has been around for over 30 years and has proven itself in health clubs around the world. 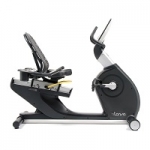 A large selection of exercise bikes are available in both upright and recumbent style, so you can achieve the results you want, the way you want. 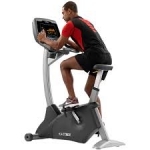 Exercise bikes help you burn calories and tone muscles. 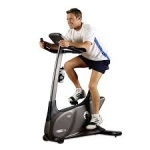 Handlebars provide a variety of workout positions. Wide, cushioned seats keep you comfortable even on the longest rides. Cycling is an easy, natural exercise, so you're more likely to stick with it. 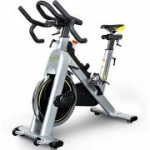 For a complete selection of exercise bikes available to you through The Fitness Outlet, please browse through the various brand selections and variety of models available below.